When I woke up this morning ready to write my latest recommendation, I had to stop myself. It was necessary to take a moment. You see I am already a big Jeremy Fisher fan. I bothered him via Twitter about a month back to see if Island SoapBox could review his album. I was incredibly excited when I received a message back from him and an email from his PR person with a link to the album. So when I went to start, I had to really ask myself "Is this really that good, or am I just way too excited about the whole experience?". I think the answer is quite obvious, it's both. Flood is terrific. 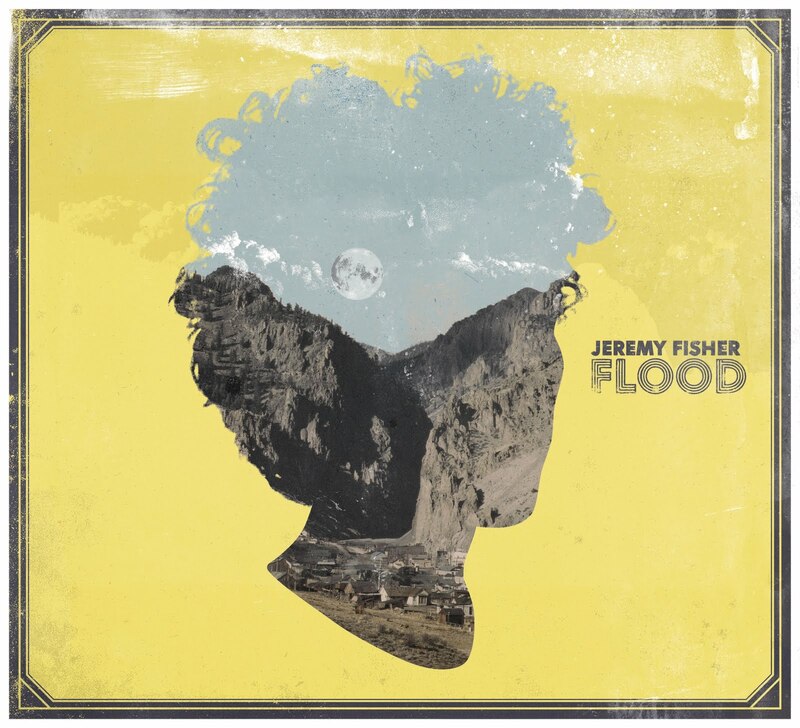 If you enjoy Fisher already, then you can pick this album up worry free. If you don't know much about him, then pick this album up and see what you are missing out on, but be warned you will be buying up all his stuff soon after. Furthering the diverse musician's development is his working relationship with Hawksley Workman. This is the second straight time Workman has produced for Fisher, and he credits Hawksley for really pushing him to be a better artist & musician. For a man already so talented, it's an incredibly exciting thing for a fan to hear that drive to always be better. The album starts with "Shine a litte light", the single in which Fisher released yet another DIY video earlier this month. You never know what's going to happen when the very first song is the single you have already heard (especially if you really like the single). This might be my favourite thing about the album, there is no drop off. Every song is as good as the last. It's 11 tracks, featuring all sorts of different instruments. I'm not sure what it is about it, but "Alison" is definitely my favourite track on the album. It kinda hops along and is just really fun to listen to. The same can be said for the entire album though really, and it's an album that seems to grow on you with each spin. There is no reason to think this album won't get some serious attention. With two juno nominations to his credit already, Flood should conjure up some major interest. With a Canadian tour starting in Victoria (!!) in November, now is the time to pick up this album and check him out.